Having recently taken over some responsibility for contributing to a geology blog on the “Geology Matters” website, I think I should offer a brief introduction, and give some idea of my intentions in relation to the blog. I retired from full-time teaching in 2010, after 30+ years of teaching geology, geography and related subjects, including 13 years as an OU geology tutor in the West Midlands Region. I joined the Black Country Geological Society in 2011 and aim to help promote its activities in helping to stimulate interest in the subject in general and in local geology in the West Midlands in particular. I am hoping to put posts on the blog every few weeks which will cover a full range of geological topics drawn from around the world. As a starting point, perhaps I can draw people’s attention to the regular press releases put out by the British Geological Survey. A story about how the BGS is drilling a borehole near Berwick-upon-Tweed in a search for missing links in our evolutionary record. An account detailing how rapidly Iceland’s glaciers have been retreating in recent years. How microscopic marine algae in Antarctica are being used to record the changes in the Ice-Sheet which have taken place over time, in order to build an accurate timetable of how worldwide temperatures have fluctuated over the past 12,000 years. How the BGS has now developed “GB3D” ~ a three-dimensional geological map of the UK, with a network of cross-sections throughout the country, to enable people to visualise the relationships which exist between the landscape, geological structures and resources in many places. These articles, and much more, can be found by using the link to the website above, or simply by following links from the BGS homepage. When its doors opened on Wednesday 12th December 2012 the Dudley Museum and Art Gallery (DMAG) celebrated 100 years of geology being on display. For centuries geology has played an important role within the Dudley area and to the local community. 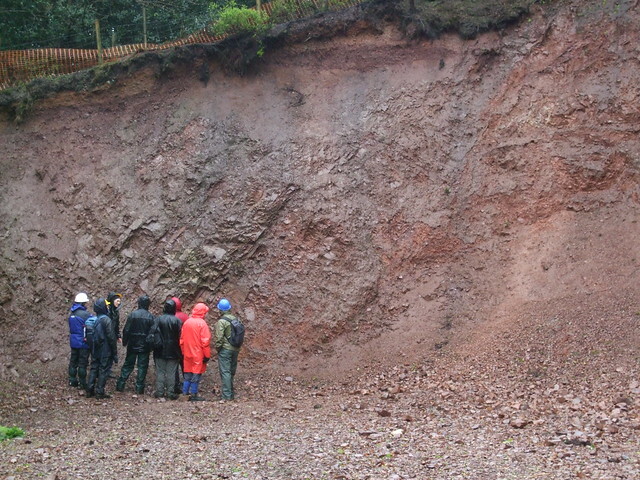 According to current DMAG Keeper of Geology, Graham Worton, ‘The 100th anniversary will kick off 2013 as the Dudley Museum Year of Geology and each month will have a different Earth Science theme’. The 100th anniversary celebrations were held at the DMAG. At 17:30 the celebrations officially commenced with an introduction from the Dudley Mayor, Cllr Melvyn Mottram, followed by a re-enactment of the speech given by Sir Charles Lapworth, during the original opening of the museum in 1912. Paul Smith, the new curator of the Oxford University Museum of Natural History, followed with a talk titled ‘A geological gift to the future’, a precise to Lapworth’s speech. After a forty minute refreshment break Graham gave a talk on, ‘Things of Beauty and Wonder’ – a potted history of the Dudley Geological Collection. After which, the Dudley Museum Year of Geology was officially launched. DMAG is part of Dudley Council’s Museum Service, which also includes the Red House Cone, Stourbridge and the Broadfield House Glass Museum, Kingswinford. The beginnings of the DMAG started with centuries of traditional coal, limestone and ironstone mining and early pioneering scientists recognising the Dudley area as important for finding superb fossils. From the 1830′s onwards eminent geologist Sir Roderick Impey Murchison made numerous visits to the area. He encouraged local miners to establish a collection of Carboniferous Coal Measures and Silurian Limestone fossils. The Collection contained many new species and included the famous Calymene blumenbachii, or ‘Dudley Bug’. After Murchison published his work on ‘The Silurian System’, in 1839 he encouraged and inspired local mine agents, industrialists, lay people, patrons and luminaries of the day to establish the Dudley and Midland Geological Society. Murchison inaugurated this, the Midland’s first geological society, in 1842. The Society aimed to keep the Collection together and the first permanent museum to house it was a public house, The Britannia Inn, in Dudley town centre. Records, or lack of, indicate that this first geology society declined sometime after 1843. However, in 1862 a second incarnation emerged as the Dudley and Midland Geological Scientific Society and Field Club. At this time Society members, with Murchison’s backing, decided that the Collection should be re-housed. Consequently arrangements were made to establish a geological museum in Dudley, which according to Graham ‘became the mechanics institute on Wolverhampton Street’. The new Museum was opened in 1863. However, in the early 1900′s the geological society’s second incarnation saw its demise along with the declining local mining industry. In 1903, under threat of being broken up and sold off, the collection passed into the hands of Dudley Council who kept it in the basement of their old free library and art school. It was here that during the late 19th Century Dudley Council had been acquiring fine art. In 1911 they acquired the fine collection of Dudley MP Brooke Robinson and displayed it in what had become the DMAG. The same year a student from Birmingham University, Mr Edward Worsey, started cataloguing Dudley’s abandoned Collection and put it on display. At 3.30pm on 12th December 1912 Professor Charles Lapworth, from Birmingham University, officially opened the doors on the geology Collection at the DMAG. This heralded a new era of geological conservation and promotion, with Dudley’s fossil collection enjoying a permanent home in the town centre. Up until the 1960′s, the Museum was generally being used as a School of Art and Library. In 1975 the geological society’s third incarnation, the Black Country Geological Society (BCGS), was born. Since then, the BCGS has had close links with the DMAG and acts as a lobbying organisation and practical body for the conservation and development of geological sites and collections. An early act of the BCGS was to re-catalogue and re-house the collection in 1984. A temporary curator was appointed to take care of, and develop the collection, although it lay dormant again in 1986 once funds dried up. The same year the BCGS successfully campaigned to get local government to recognise geological heritage in its policies and also to create the role of Keeper of Geology at the DMAG. When the first permanent keeper of geology, Colin Reid, was appointed in 1987 he introduced a new approach to displaying exhibits at the DMAG. This involved moving away from conventional hanging of fine art. Instead, more theatrical exhibits were staged that ran for longer periods and were directed more towards popular culture and the national curriculum. Beginning with Dinosaurmania and The Age of the Pharaohs the exhibits culminated in the opening of the Time Trail gallery in 1992. However, the reintroduction of more fine art, budget cuts and a need to redirect workloads, meant that towards the end of the 1990s, the museum began to move away from ‘blockbuster’ type exhibitions, which resulted in declining visitor numbers. Colin retired in 1999 and in February 2000 Graham Worton was appointed as the new Keeper of Geology for the DMAG. The loss of mining from the Dudley area meant the fundamentally close connection that had existed between the local community and geology also disappeared. A key approach of the DMAG has always been to conserve and celebrate heritage. However, it also aims to make geology more accessible whilst providing a warm and welcoming place, training and support to the local community and those new to the science of geology. The Universities of Birmingham and Wolverhampton awell as Natural England also benefit from the DMAG’s expert support. Each year DMAG and the Dudley Museums Service education team run a programme of events and exhibitions aimed at supporting the educational community and inspiring the public. Through this DMAG is re-establishing the long lost bond between the local community and geology. Especially through pioneering projects at the Wren’s Nest National Nature Reserve. Projects like the Waves Project (2002), the WROSNE Project (2008) and the recent Ripples Through Time Project (2011) have all aimed to educate and improve the lives of the local community, whilst helping them to appreciate and learn about what is on their doorstep. DMAG has also established a Young Museum Geoteam composed of graduates and students, which encourages young aspiring geoscientists to get more involved with geodiversity and conservation through regular volunteering programmes. The museum was also key in putting together and launching the Geology Matters website in March 2011, a project led by Wolverhampton Art Gallery. This searchable website allows users to find information about fossil, mineral and rock specimens held within the Black Country museums. The Geology Matters website can be found at www.geologymatters.org.uk. During the production of the Geology Matters website the Geoteam was required to develop a digital archive of the Collection housed at the DMAG. Today, the Collection contains approximately 18,000 fossil, rock and mineral specimens, including the remaining Carboniferous and Silurian specimens collected in the 1830′s. Approximately 5,000 specimens have been added to the collection since the first Keeper of Geology was appointment in 1987. Gallery 8, the Geology Gallery, displays only part of the Collection, the rest is currently stored at Himley Hall. As well as displaying specimens from three geological periods the Gallery is also home to ‘Fluffy’, the life size replica model of a Woolly Mammoth. The Dinosaurs returned to the DMAG in 2007 taking up residence in Gallery 1. They are the first thing visitors see as they walk through the main entrance shop into the museum. This display aims to highlight and provide insight into the lost world of the dinosaurs. It includes full-scale reconstructions of land living dinosaurs and Jurassic marine reptiles along with dinosaur skeleton and fossil fragments. The museums’ Gallery 2 displays Dudley UnEarthed, which presents two timelines. The first is dedicated to telling the story of local Silurian geology and the history of the rocks of Britain. The second tells the story of the Industrial Revolution and human history within the Dudley area. For more information about the DMAG visit www.dudley.gov.uk/dudleymuseum. Since September 2001 DMAG has hosted regular rock and fossil fairs that draw large numbers of people from across the country. The next one in September 2013 will form part of the Dudley Museum Year of Geology celebrations. With a monthly programme of events planned 2013 looks like being a big and busy year for the DMAG team and a promising future for geology. Hopefully for another 100 years. Back in the depths of the Little Ice Age, lived a cruel, cold-hearted man called Professor Ebenezer Lapworth. Ebenezer owned a geotechnical engineering firm called ‘Scrooge’s Slope Stabilisation’ and employed a significant workforce. However, his employees worked for pittance; they had no holidays for fossiling and defiantly NO coal in their stockings! The Black Country Geological Society once approached Ebenezer to assist with a graduate training scheme, but were immediately told on no uncertain terms to “Rock Off!” and take their graduates with them. It was approaching Christmas, a boom time for Ebenezer’s business as vegetation was thin and access to rock faces was at its easiest. For this reason his employees worked tirelessly throughout the holiday, but Christmas 2012 was one which Head Geoscientist, Dr Bob Fossil was determined to spend with his family. It was Christmas Eve and after much encouragement from his colleagues, Dr Fossil built up the courage to ask for the Christmas week off, to which Ebenezer dismissed in a fluster of mutterings and abuse. However, Dr Fossil held a trump card, who else who be open for business? Ebenezer had no reply, and finally relented. Ebenezer Lapworth offered the consolation prize of 1 day’s unpaid holiday on Christmas Day, which allowed Bob Fossil to spend the last Christmas with his very ill son. That evening on the eve of Christmas, the freezing air felt like a million ice daggers pounding Ebenezer’s wicked face as he stumbled home from the local real ale pub. Reaching his dark, mysterious house he flung open the door to reveal a personal museum of rare, sparkling and very pretty rocks and fossils. That evening Ebenezer sat in a single room eating rock cakes, with only a small lava lamp and a glowing specimen of Uraninite for illumination (to save money on lighting the whole house!). Suddenly, the lava lamp stopped convecting and the Geiger counter stopped crackling. Out of the gloom appeared a ghostly vision. “Who are you?” Ebenezer muttered under his breath. “I am your old business partner…..Jacob Murchison” groaned the transparent figure. Murchison warned Ebenezer of his impending doom upon his death, constricted by the chains forged in life (and in the Black Country) for all eternity. Forgivingly, there was a chance to save his damned soul. Squirming for some sort of comfort Ebenezer was primed for the visit of three ghosts during the night. In a flash, the room returned to normal, convection resumed and the mineral glowed once more. Ebenezer blamed his hallucinations on the real ale, but went cautiously to bed carrying his Uraninite with him. As his struggled to sleep he counted trilobites jumping over coral until his heavy eyes shut tight. The next thing he remembered was a bright light illuminating the room, a rough, primitive voice grunted “I am the ghost of Christmas past”. Ebenezer peered from beneath the duvet to see a big nosed, hairy Neanderthal pointing a spear at him. With a jab of the flint spearhead they were transported to Ebenezer Lapworth’s childhood. Ebenezer looked helplessly at his days as a young geology student, throwing rocks at the teacher and making smaller children lick the halite samples. He gazed on as he mixed up the sequence of metamorphic samples laid on the table, baffling the class. “No more!” he yelled like a little girl. The Neanderthal lead him away to his first Christmas party in a geotechnical company, during the vision has saw himself as a graduate, complaining to his manager about how much the party has cost and that the money would be better spent on drill heads. In a pulse of light the ghost strolled off into the distance and Ebenezer was back in his bedroom gasping for breath. Minutes following the exit of the first ghost a second phantom ascended from the floor, which was tiled in Rapakivi Granite. “I am the ghost of Christmas present” snorted a deep, muffled voice. To Ebenezer’s horror, towering over him was a giant talking Pleistocene ground sloth known as Megatherium. Ebenezer frowned as the sloth guided him into a white mist with his enormous claws, “Come, we have little time as I grow older every second” claimed the sloth. They reappeared amongst the excitement of Christmas day in the market, seeing the hustle and bustle of people buying Christmas dinner. They then viewed Christmas in a miner’s cottage, where they were short of coal and not a fossil display in sight, yet they were full of joy and happiness on this day. Finally, the sloth took Ebenezer to observe the scene at Bob Fossil’s house. There, he gazed on to see a happy, vibrant scene of Bob Fossil with his family and very ill son, Trilobite Tim. He continued to observe as Bob’s wife began complaining about Ebenezer, his greed and his cruelty to everyone who crosses his path. Ebenezer was shocked when Bob stuck up for him, explaining how he was responsible for providing their Christmas dinner as Bob’s employer to the answer of “Huh….This measly meal….As he feasts in luxury!” from Bob’s wife. “Enough spirit, I have seen enough” blubbered Ebenezer before reopening his eyes to see the sloth, now looking very old walking away from him in a spooky old graveyard. Moments later, a dark spectre materialised in the fog, “I am the ghost of Christmas’ yet to be” whispered a quiet, yet deep voice. Shuddering vigorously, Ebenezer stepped closer to see the Woolly Mammoth eyeing him up. The mammoth pointed with his trunk to a gravestone made from blue Lavikite Granite, Ebenezer stumbled over like a drunken fool and reluctantly wiped away the grime to reveal his own name. Falling backwards in horror, he grasped for comforting words “The future can be changed…a man can break his chains” wept Ebenezer. In a heart stopping second, they emerged into a grotty backstreet, looking on at a grubby street trader. “Get your rocks here….Fossils for a fiver” the trader yelled, “Who did this collection belong to?” whispered Ebenezer. The mammoth stood and pointed his trunk, a group of women were discussing the collection “I’m sorry the owners dead….sorry he didn’t die sooner”. A second woman replied “That Ebenezer Lapworth was an evil geologist, who didn’t document his collection properly and now it’s worthless”. Now a whimpering wreck, Ebenezer had one final call….back to Bob Fossil’s house. Inside, the mood was solemn, near the fire sat an empty chair with a rock hammer and hard hat laid on the seat. Ebenezer immediately realized that it was Trilobite Tim’s chair. “A man can change his future!” Ebenezer screamed with fear and with that, the phantom mammoth faded away. Upon opening his eyes Ebenezer Lapworth was in his own warm bed, like a whippet he flung himself free of the sheets and hung out of the window. A child carrying a lump of Schist hurried past until Ebenezer shouted “Good Sir, What day is it?” a high pitched, nervous reply came “Why…. it’s C…C…C…Christmas Day”. A giant grin grew on his face, the spirits came all in one night and he had not missed the big day. Ebenezer called the boy again to ask “You know the large Titanites ammonite in the shop window? Go and buy it for me boy”. The boy was swamped by the Titanites, as he followed Ebenezer towards Bob Fossil’s house. On the way Ebenezer donated his prized fossils to the poor and invited graduates to train in his company. When they finally reached Bob’s house he was greeted with anger from Bob’s wife, until she saw the size of the ammonite being delivered for them. She stood motionless with shock as Ebenezer offered a very large pay rise for Dr Bob Fossil and his fellow geoscientists. From that day forward Ebenezer became like an uncle to Trilobite Tim (who did not die) and was much loved as a generous member of the Black Country Geological Society. An excellent publication from New York State Museums*, summarising 300 years of research work on trilobite fossils, from Edward Lhuyd’s “flat-fish”, through Linneaus’ “puzzling stone insect” (Entomolithus paradoxus), right up to the modern day. An entire chapter is devoted to The Dudley Fossil, Locust, or Bug that we know today as Calymene blumenbachii. Even better, you can download the whole text from the museum to read at your leisure! *New York has it’s own state fossil – it is a eurypterid, similar fossils are found in England too! Over the past ten years there have been several rock and fossil fairs in Dudley, but no more events like that of September 2002. So what do people remember about it? Readers of the BCGS newsletter were asked to send in their memories of that night. Many of these were similar to the accounts the BGS recorded back in 2002. Like many at the time BGCS member Chris Broughton recalled how he slept right through it, “and never felt a thing”. Messages left on the Geology Matters website, included an account from Paul Goodrich, who lives in Manchester, “I thought I had left the handbrake off my car and it had rolled gently down to the house, but rather than the first single jolt, there was also a brief low rumble and the doors rattled”. Christine Hawthorne, from Perton was sitting in her lounge at the time, “when the chair moved!” then, “My friend rang to ask if I felt it too! Could not believe it”. John Radley, Curator of Natural Sciences at the Warwickshire Museum Service, remembered how the Dudley earthquake occurred exactly two years after one in Warwick. That night, up late watching the television John heard a noise, “Something like a train, moving rapidly closer (sounded like it was travelling up the garden towards the house) culminating in a rumbling and mild shaking”. Having experienced the Warwick earthquake he knew exactly what it was and was soon texting friends and listening to reports on local radio. Dr Colin Prosser, Principal Specialist in Geodiversity at Natural England, was staying with his mother, in Dudley, at the time before travelling to a meeting in Bournemouth the next morning. He remembers vividly, “the rumbling of the quake as it woke me, like a tube train approaching, and my mother and others in the street popping outdoors in dressing gowns to reassure each other”. The next day at his meeting, pleased at the chance of feeling the event Colin was introduced as ‘English Nature’s geologist who had been, “shaken out of bed in Dudley by an earthquake”. BCGS Chairman, Gordon Hensman was having a nightcap in his sitting room when the earthquake struck and remembered how, “The drinks trolley and the china cabinet both shook and clinked as glasses and precious ceramics hit each other. Constable’s “Hay Wain” swung to and fro, and Millais’ “Last of England”, moved an inch from the wall and back again, while the shade on the standard lamp joined in the general animation. What on earth was happening? That nightcap in my hand was certainly powerful stuff, and I had to down it in one to prevent it spilling as the armchair lurched from left to right and back again”. After two coal blackened miners walked through his sitting room wall, speaking deepest Black Country, Gordon checked his empty glass as it slowly dawned on him that, “there had been an earthquake – no other explanation!” A few days later he heard from some friends who told him of their experience in Brittany when the stone building they were staying in was subject to strong shaking from the earthquake. Maragret Rodway, from the Herefordshire and Worcestershire Earth Heritage Trust, recalled how having experienced three earthquakes since living in Malvern she was unfortunately, “in Bath at the time of the Dudley one”. However, her father who lives in Rowley Regis remembered the shaking, “Afterwards he found that most of the mortar on the outside of the damp course of his bungalow had fallen out, so he assumed that the house must have shifted slightly on its foundations”. Local walking group members also offered their memories of the Dudley earthquake. Many slept through it, however some remembered the event like Steve Tustin, from Tipton, who recalled how a large rumbling sound woke him up, “my house also felt like it was slightly shaking as I had been in a deep slumber I was totally unaware of what was happening!” Then the neighbour was banging on Steve’s front door, worried about what was going on and fearing that the nearby Midland metro had derailed. Outside they noticed several other people out on the street in their night clothes all wondering at what had just occurred. Steve discovered that it was an earthquake the following morning on the radio. Three days later he noticed, “a crack in the concrete floor of the garage that hadn’t been there before”, and “two roof tiles that had been dislodged and slid into the guttering”. Another walking group member was woken up by the sound of the earthquake rattling furniture. Whilst another thought from the noise that, “the garage had collapsed”. One member living in Bedford at the time only felt a minor shudder, but was surprised on waking the next morning to hear people talking about his home town of Dudley. Another group member, living at home in Dudley, was up working late when she felt the earthquake and saw her computer shaking. Her parents however, “woke up, believing it to be the dog”. An opportunity this weekend to examine the geology of the Lickey Hills, just outside Birmingham this weekend. Guided walk following the Champions trail along the Lickey ridge and examine the contorted strata more closely in a disused quarry. More information is available from the website. Meet 11.00 on Sunday 28th October at Lickey Hills Visitor Centre, B45 8ER. No charge, all welcome. I had not been a member of the Black Country Geological Society (BCGS) for long and was enjoying my first Dudley rock and fossil fair on the weekend of the 21st / 22nd September 2002. However, what happened as Sunday night passed into Monday morning made the weekend most memorable. During the night I sensed a deep rumbling noise and was jolted awake to the sound of falling plaster behind the cavity wall of the flat, I was renting at the time in Tettenhall, Wolverhampton. At first I thought the next door boiler had blown up, but I soon realised that in actual fact I had probably just witnessed my third ‘earthquake’. Next morning the radio confirmed my suspicions that indeed an earthquake had struck the Black Country. Occurring at 23:53 Universal Time Coordinated (UTC), on Sunday 22nd September 2002 (or 00:53 local time, Monday 23rd September 2002) the earthquake measured 4.7 magnitude. A small 2.7 magnitude aftershock was also felt locally throughout Dudley and in Birmingham on 23 September at 03:32 UTC (04:32 local time). During the earthquake seismograph stations belonging to the British Geological Survey (BGS) and scattered throughout the UK gathered data. This showed that the epicentre was at mid-crustal depth (approximately 14km down) and at approximately 1km west of the Western Boundary Fault. On the ground surface this placed the epicentre approximately 3km northwest of Dudley town centre, at the junction of High Arcal and Himley Road. The Western Boundary Fault is a major north–south striking fault zone, which has downthrown Triassic rocks to the west, against older Upper Carboniferous rocks, belonging to the South Staffordshire Coalfield, to the east. The fault zone stretches from the Bristol Channel to Lancashire passing to the west of Dudley and to the east of Stourbridge. The BGS data indicated that the source of the earthquake was due to strike-slip movements along the Western Boundary Fault zone. These movements were probably a response to regional stresses built up through dominant northwest compressional forces from the spreading of the Mid-Atlantic Ridge. Earthquakes of such magnitude are not uncommon in the UK, which experiences around 300 earthquakes every year, with one around 5.0 magnitude occurring approximately every ten years. Before the Dudley earthquake I had experienced two others, which included the Llyn Peninsula earthquake of 1984 and the Bishops Castle earthquake of 1990, both of which measured 5.4 and 5.1 magnitude, respectively. The next day and over the following weeks the Dudley earthquake was on the lips of most people and the brunt of several humorous e-mails. Many BGS accounts collected after the event spoke of objects, such as CDs, books, plant pots, candlesticks, picture frames, mirrors and clocks, being thrown about. Other accounts spoke of violently shaking furniture, children and parents being thrown out of bed or off chairs. There were no recorded major injuries and only three minor ones involving banged heads and a broken toe. Minor structural damage was also reported to buildings including cracks in walls, plasterwork, mortar and window sills and dislodged roof tiles. The event was felt mostly across the West Midlands, but also over an area of 260,000 square kilometres (100,387 square miles), reaching as far as Wales and Southern Ireland, Liverpool, Carlisle, Durham, Yorkshire, Wiltshire, Cornwall, London and The Netherlands. Next time we will investigate the personal stories of local people who may or may not have experienced the quake. This image shows another small art installation at Wren’s Nest, in “Snake Pit quarry”. Like so many of these names, we will never know why or how it got this name! The fossil sculpture depicts Poleumita, a gastropod (sea snail) which is sometimes found in these rocks. Dudley Museum has several examples, for example here, and here. This weeks blog is an extract from the newsletter of the Black Country Geological Society entitled ’The Dudley Bug’ in which we have produced a special edition world exclusive report. Little has been known about this man of science…that is until now! Over the past few months we have tracked down the elusive Dr Fossil to explore his most intimate personal life stories of the most important geological figure in the world. “It has been a real challenge to bring this together, I scaled the highest mountains and crossed the deepest gorge to find him, then I was nearly eaten by him!” claims Chris. Sadly, during the making of this edition Chris suffered a horrific accident; thankfully after a change of underwear all was well. Over recent weeks a local geologist who has been dubbed Dr ‘Bob’ Fossil (known scientifically as Bobbus fossilites) by the gallery education team, has been let loose in Wolverhampton Art Gallery on Friday afternoon’s, to lure unsuspecting visitors into the gallery with a host of dead creatures and bones which are interpreted in the doctor’s enthusiastic but slightly mad style. This is the story of how the doctor came to be….. Some say he feeds only on eutrophic bacteria, others say his only friend is a dead squid, but all we know is that the doctor is clinically insane! Legend has it that he came to Earth on a meteorite which impacted Earth 150 million years ago. Luckily for us he survived by jumping off the meteorite just before it hit the ground. Life was hard for the doctor as a baby, brought up by a herd of Diplodocus dinosaurs he ate nothing but regurgitated leaves. Geologists are generally considered to be carnivores so when the Diplodocus became extinct he was adopted by Velociraptor’s where he fitted into the family pack perfectly. Dr Fossil soon found out that being brought up on a diet of raw dinosaur meat had its drawbacks, for example, a geologist’s compulsory beard was very awkward when he had his head deep inside a smelly, rotting carcass. Although, his rock hammer came in very useful when hunting, it was so powerful that he could bring down a Tyrannosaurus Rex with a single blow; it was this that inspired the myth of Thor, God of Thunder and his mystical hammer, Mjölnir. Little did the Vikings know that they were worshiping Wolverhampton’s very own Dr Fossil. By 65 million years ago Dr Fossil had made his way out into the big wide world which was about to change forever! One fateful day an enormous asteroid impacted the Earth, sending the doctor into immediate peril but fortunately he was wearing his hard hat that day, which thankfully had protected him from the initial blast. The doctor was slightly bemused as to what had interrupted his volcano poking activities, but he scurried back to his cave anyway to watch the latest news reports on the home-made coal powered proto-television. He was warned about the impending firestorms and tidal waves, therefore the doctor was sadly forced to change his plans and stay home to catalogue his fossil collection. Even the risk of dangerous radiation did not deter the doctor, well of course why should it? Geologists are well used to radiation, especially when they lick Uranium just to see if their tongues glow in the dark. During Dr Fossil’s teenage years, life in the Eocene, Oligocene and Miocene was easy. Global temperatures were warm and sea levels rose, meaning the doctors cave was now by the beach where he could sit and pass the time by counting the grains of sand. This is the period when the doctor evolved from a dino-man to a primitive mammal, just as he is today. This evolutionary phase saw Dr Fossil lose his tail and webbed feet and he started laying tiny rocks rather like a chickens lay eggs. During the ice age the doctor roamed the wilderness on the back of a mammoth he called ‘Fluffy’ who he still keeps as his pet today. He showed early humans how to make fire, which he witnessed during the asteroid impact, the wonders of cave art and even how to make a wheel. He showed Bronze Age men where to mine for minerals, which he had witnessed being deposited millions of years earlier and explained how farming crops were far more appealing than eating regurgitated leaves or getting messy eating raw meat. One drunken night in the 1600’s Dr Fossil accidently gave away all his coal and iron production secrets to a man he met in a pub called Dud Dudley, which eventually sparked a world changing revolution. It was in the 1800’s the doctor met a Shropshire man called Charles, they became good friends and Dr Fossil showed him his family photo album of his life growing up through history, but few years later his friend Charles Darwin published a book containing the theory of evolution. This influential figure in history is little known and few people know how Dr Fossil gave rise to the greatest civilization in history and created the world as we know it today, but now that story has been told and the world will finally know the truth about the genius of Dr Bob Fossil. Over the years exposure to toxic minerals and radiation has made this man a complete fruit cake. Today the doctor resides deep in the geology stores of Wolverhampton Art Gallery, where he catalogues the geology collection and is occasionally let out the terrorize the public with displays of death through geological history before being returned back to the stores for feeding time. Until next time…..be aware of the geologist’s….they are among us! Often the work of a geologist is like that of a detective – you need to work out the full story using only a few bits of available evidence. However, for geologists, the evidence is often millions of years old! So it is with these layers of rock at Wren’s Nest, near Dudley. On close examination the layers of limestone and shales are occasionally broken by layers of yellow clay, like the one shown in the picture below. Bentonite clay layer, running diagonally from top left of picture to bottom right. Applying a broad principle known as uniformitarianism (originally formulated by geologist James Hutton), which states that natural laws operated in the past much as they do today, it was possible to suggest that the ash layer might have come from a volcano around 50-60 kilometres away. This at least gave an area in which to search for the volcano. Further evidence in sedimentation patterns suggested that the wind direction was predominantly from the south, so narrowing the search further. The final piece of evidence came from a British Geological Survey drill core which had been drilled to examine the geology of water supplies around Cheltenham. Beneath the much younger Jurassic limestones the drill found 800m of coarse volcanic material, a pile large enough to suggest that the volcano had been found at last! There is one more piece of information which has been locked away in these clays. By extracting a sample of zircon crystals from them it is possible to very accurately determine their age. By dating several layers, it is possible to measure the amount of time that the intervening rock layers too to form. We’ll look into that in more detail in a later post.